Thomas Lewis Arnold, age 87, of Farmersville, passed away on March 15, at St. John’s Hospital in Springfield. He was born at the family farmhouse in Waggoner on September 23, 1931 the son of Edgar and Bertha Lewis Arnold. He attended Waggoner School and was a graduate of Farmersville High School. He married Barbara Gorin in Litchfield on July 27, 1952, she survives. He served in the US Navy during the Korean from 1951-1955. He was enjoyed being able to go on the Honor Flight with his son. 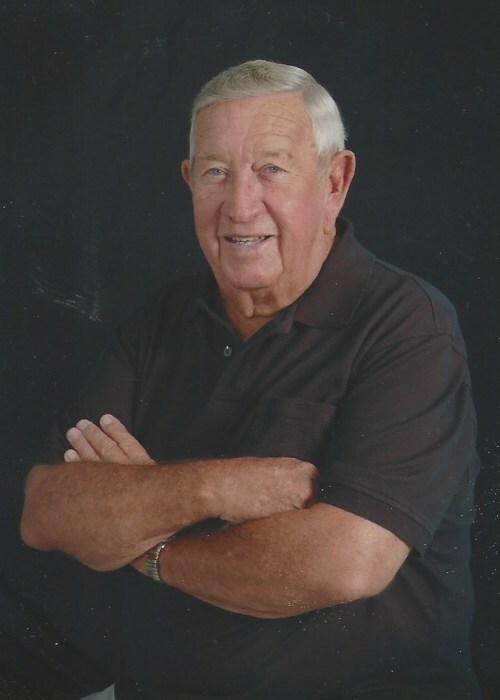 Tom took pride in his community and supported many causes and activities; he enjoyed Cardinal Baseball, Golf, Singing, Wintering in Florida and most of all spending time with his many family and friends. Besides his wife, Barb, he is survived by daughters; Patty (Lynn) Clarke of Farmersville, Debbie (David) Seaton of Edinburg, Andy (Lesley) Arnold of Auburn, grandchildren Josh Seaton Blake (Maggie) Seaton, Kelsey (Alexander Johnson) Clarke and Clayton Clarke. Besides his parents two sisters, Carol Stevens and Marge Clark, preceded him in death. Services with military rites will be held on March 18, 2019 at the Farmersville Methodist Church in Farmersville at 7:00pm. Visitation will be held March 18 from 4-7pm also at the Church. Memorials to Farmersville Waggoner Ambulance or the Land of Lincoln Honor Flight maybe left in Tom’s name.